SATFAB CONDITIONER contains high quality sequesterants to neutralise hardness and iron in laundry-water and ensures the best wash-performance. 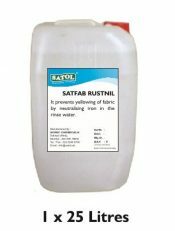 Prevents greying, yellowing and iron/ rust stains on fabrics. 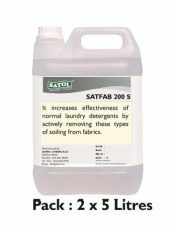 Prevents scaly deposits on fabrics and protects fabric-texture. 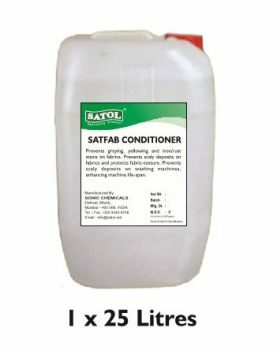 Prevents scaly deposits on washing machine enhancing machine life-span. 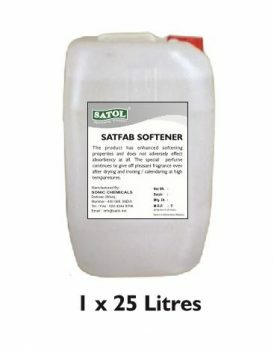 SATFAB SOFTENER is a rich perfumed fabric softener specially formulated for use in commercial and on- premise laundries in hotels and hospitals. 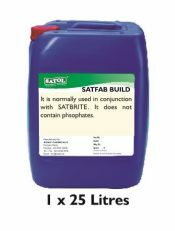 The product has enhanced softening properties and does not adversely effect absorbency at all. The special perfume continues to give off pleasant fragrance, even after drying and ironing / calendaring at high temperatures. 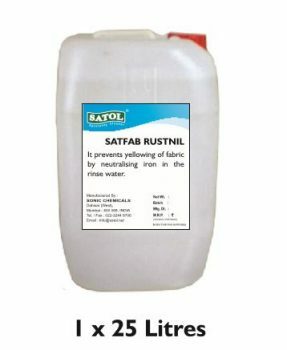 SATFAB RUSTNIL is a laundry sour used to neutralise residual alkalinity at the end of the total wash process. 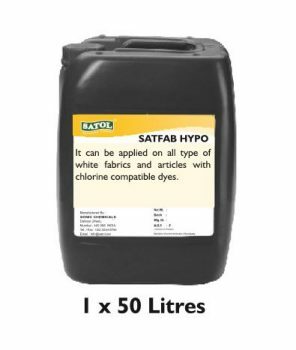 It also prevents yellowing of fabric by neutralising iron in the rinse water. 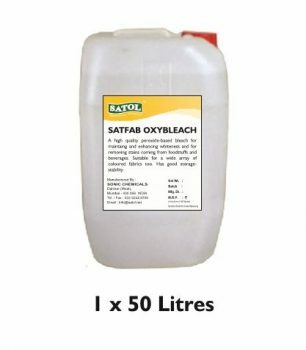 It also efficiently neutralises all residual bleaches- chlorine as well as oxygen bleaches. 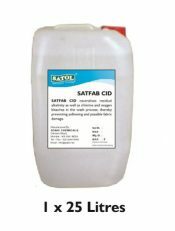 SATFAB CID neutralises residual alkalinity as well as chlorine and oxygen bleaches after the wash process, thereby preventing yellowing and possible fabric damage. It is very safe on cottons. 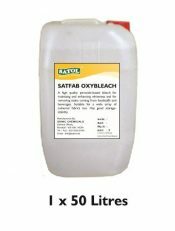 SATFAB OXYBLEACH is a high quality peroxide-based bleach for maintaining and enhancing whiteness and for removing stains coming from foodstuffs and beverages. Suitable for a wide array of coloured fabrics too. Has good storage-stability. SATFAB HYPO is an effective low temperature chlorine bleach system based on hypochlorite, alkali and bleach stabilising agents. 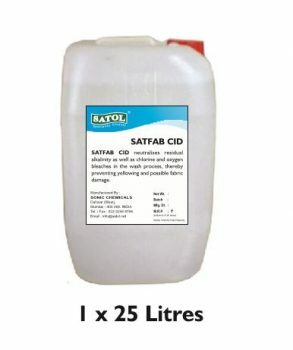 It can be applied on all type of white fabrics and articles with chlorine compatible dyes. 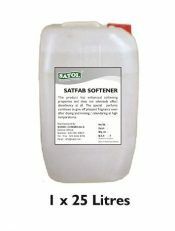 Especially suitable for removing stains coming from foodstuffs and beverages. 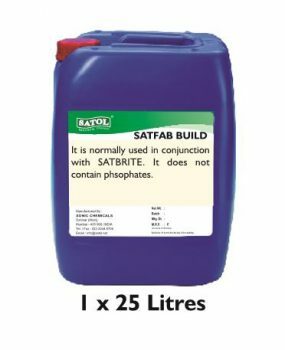 SATFAB BUILD is a liquid alkalinity booster/ builder based on an alkali source that makes it suitable for use in normally used in conjunction with SATFAB UNIVERSAL. It does not contain phosphates. 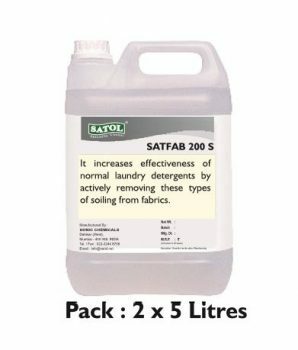 SATFAB 200S is a super concentrated liquid emulsifier for effective cleaning of fabrics regularly exposed to cooking oils, massage-oils, mineral oils and grease stains. It increases effectiveness of normal laundry detergents by actively removing these types of soiling from fabrics. 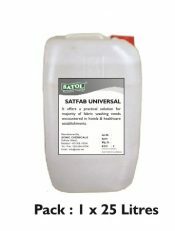 SATFAB UNIVERSAL is a fully built-up liquid detergent based on a blend of high-performance surfactants and contains an optical brightener. 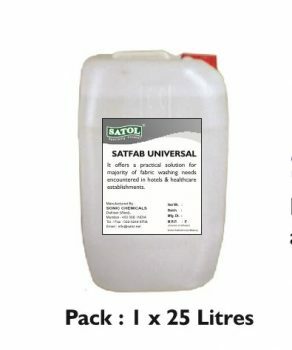 In conjuction with SATFAB BUILD, it offers a practical solution for a wide array of fabric washing needs encountered in hotels & healthcare establishments.